Mazaalai is the only desert dwelling bear, living in the Gobi desert of Mongolia. With less than thirty living individuals, the Gobi bear is on the brink of extinction. 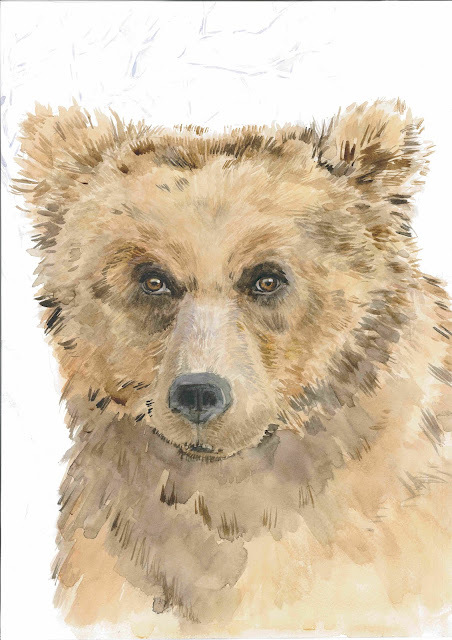 Past estimates of a population size of 20‐50 Gobi bears were based on direct observations and assessment of Gobi bear use of the three oasis complexes. In 2006, an estimate based on remote cameras at feeding sites indicated that a minimum of 19 bears were present in the area (Amgalan et al. 2006). By 2010, This estimate indicated that a minimum of 22‐31, including at least 8 females and 14 males. The population fluctuates each year due to the harsh climate and shortage of food and water.If this trend will continue, the specie simply can not survive without a special effort.